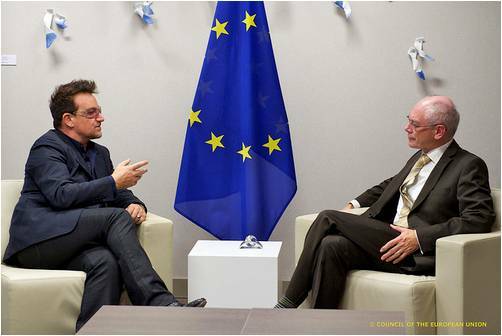 According to Bono, a real breakthrough has been achieved in the fight against corruption. The rock-star-turned-human-rights-activist was led to such enthusiasm by the EU passing new transparency regulations on April 10, 2013. The new laws stipulate that European companies that are active in the oil, mining and logging industries have to report any payment of more than EUR 100,000 that they have made to foreign governments or government agencies, even if this was in the form of taxes, royalties or other fees. In addition, the exact project the payment was related to also has to be specified, thus further increasing transparency. Numerous cases demonstrate that European companies don’t always play with a clean deck in their foreign operations. It is enough to recall the case of Siemens, where in 2006 German authorities uncovered an international network of corruption whereby EUR 420 million was funneled through a dozen tax havens over a period of seven years, with the funds eventually landing in the pockets of officials in developing countries. Investigations also showed that some of the money was paid to Greek officials overseeing the IT investments of the 2004 Athens Olympics. In addition, since controls were not tightened following this case, Siemens became embroiled in another corruption scandal in China in 2011, which ended in a death sentence for a Chinese official. So this legislation has been long overdue, but the right conditions needed to pass it were created by the financial crisis and the subsequent will to regulate tax havens. European lawmakers (and Bono) hope that the reporting requirements will curb the flow of graft money and thus compel European companies to operate more responsibly abroad as well. The United States actually passed similar rules already last year, although these are less strict than the European measures in several aspects. The US regulation for example does not extend to logging activity, even though NGOs fighting for environmental regulation and the rights of aboriginal peoples say the companies of developed nations carry out logging in just as unsustainable a manner as the Brazilian or Malaysian firms that are notorious for their deforestation activities. And while we’re on the subject of anti-corruption measures, it is worth adding that everyone should start by cleaning their own doorstep. In this respect, the recently implemented transparency rule in New York, which K-Monitor reported on a few days ago, is exemplary. 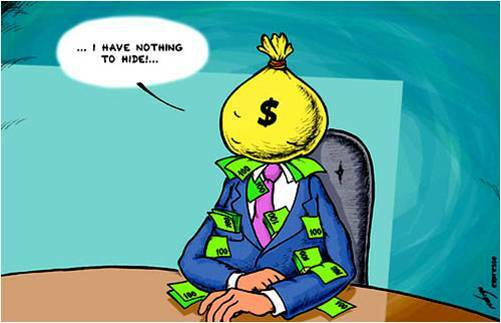 Based on the law, the city mandates that in the case of every major investment financed from public funds, information on the companies and individuals receiving the funds must be made public. The companies benefiting from taxpayer money must also publish the list of their subcontractors. Of course, all of the above are only worth anything if citizens take note of corruption scandals (or even just their suspicion) and demand that corruption be reduced. Do you think that will happen…?